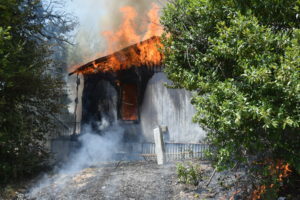 GRAPELAND – The Grapeland Volunteer Fire Department was dispatched to the scene of a house fire shortly after 12 p.m. on Tuesday, July 24. 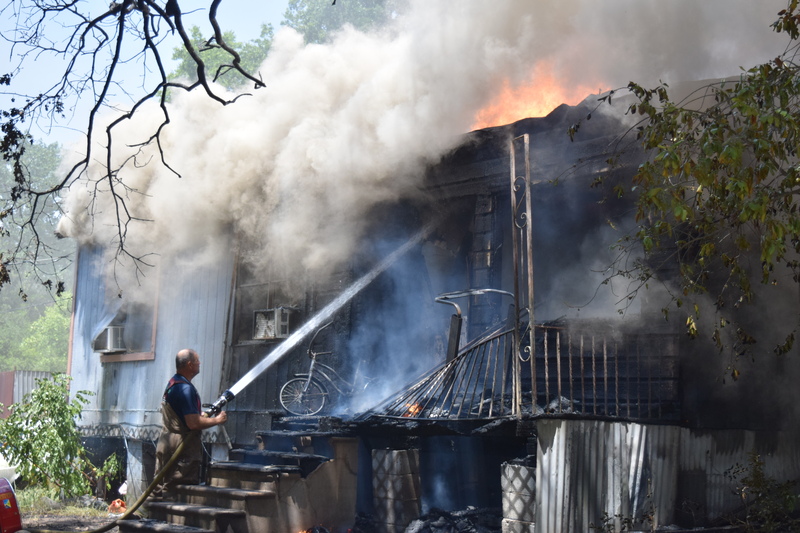 The Grapeland VFD was at the location of Post oak and Lemon Streets within minutes, but the residence was already engulfed in flames. The Latexo and Crockett fire departments were also dispatched to assist, however, the residence was a total loss. Fortunately, no one was home at the time of the fire and it did not appear anyone was injured. The cause of the fire is still under investigation. This was the second of two fires – both in the same area – on Tuesday. For more information as it becomes available, please check back online or see future editions of The Messenger.